Availability: This product is discontinued and no longer available for purchase. For alternatives browse our Elliptical Cross Trainers department. The Reebok i-Trainer 1.5 Cross Trainer features 16 levels of electronic resistance, a sturdy 17 kg flywheel for very smooth performance and 4 motivational programmes. This elliptical is very compact in size which makes it suitable for smaller flats and can also be easily moved around the room with the built-in transport wheels. The stride length is 18" but can be adjusted to 17 or 19 inches thanks to the adjustable footplates meaning that the i-trainer 1.5 is sure to provide you with a smooth and comfortable workout. 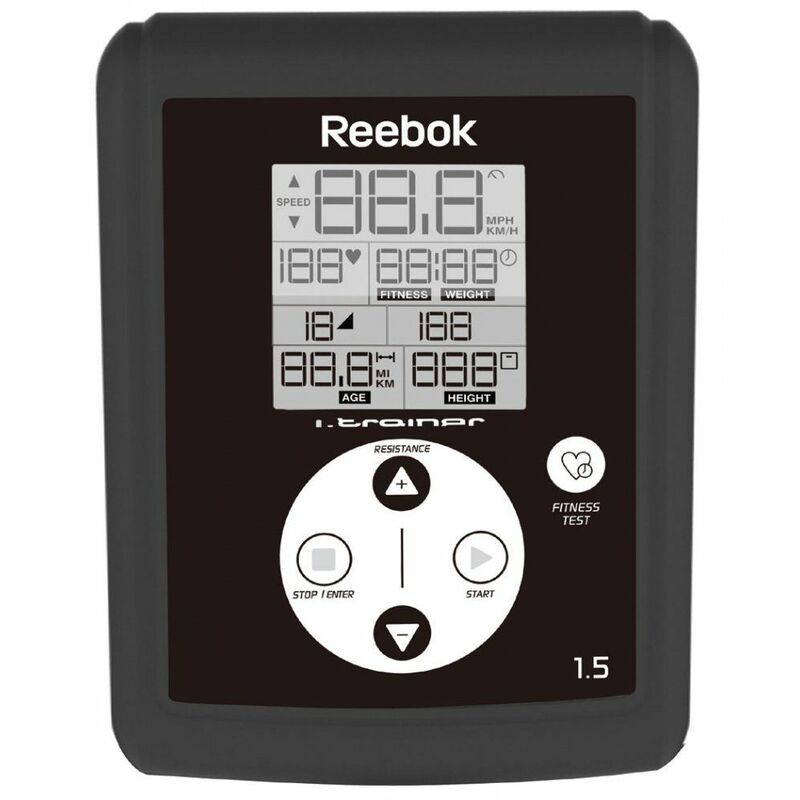 for submitting product review about Reebok i-Trainer 1.5 Cross Trainer.